This Venus Ionizer has been discontinued and upgraded to the more advanced model – The Melody II (click to view). Emco Tech’s dedication to bringing you the world’s finest ionizers at the fairest prices has taken a quantum leap forward with the Venus. This ionizer brings you advanced features at the lowest price. The health benefits of high-level ionization (“kangen” water). Learn more here. Free Shipping in North America. International shipping policy here. Read what our customers have to say here. Or what PBS has to say here. A new, patented matting used in the Venus water cell is extremely resistant to mineral deposits. Lime (calcium), iron, and other minerals are “sloughed off” enabling better ionization for a long period of time. The inner structure of the Venus water cell also enables a much better separation of alkaline and acid waters. The result: more efficient ionization as well as better isolation of any remaining fluoride. This combination of efficient draining, improved matting, and revised inner structure enables the Venus to operate very efficiently on only one clean cycle of 10 seconds per every 20 liters. This special feature has been, until now, only available on much more expensive ionizers. 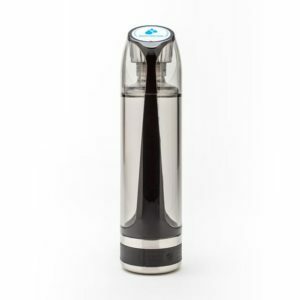 The flow control knob lets you to adjust the strength of the alkaline water (“pH”) and its antioxidant power (“ORP”). It will prove useful in helping to fine tune your prefered pH level so that you get the exact same pH level every time you use your Venus. The Venus will adapt for undersink installation using our patented double-spouted undersink kit. Another feature only found on more expensive ionizers, the voltage regulator allows for exceptional user control as you can now reduce the voltage if your water is very hard or increase the voltage if your water is very soft. Our installation and operation video makes all adjustments easy to understand. If you have any questions about the hardness or softness of your water, please call us toll-free at 1-877-770-5247 (780-433-4503). 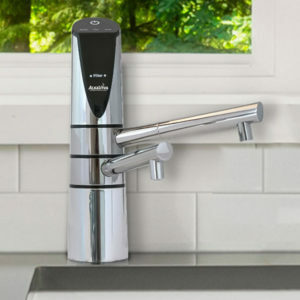 Note: If your source water is hard, please contact us for advice on how best to install your Venus water ionizer. (877-770-5247). 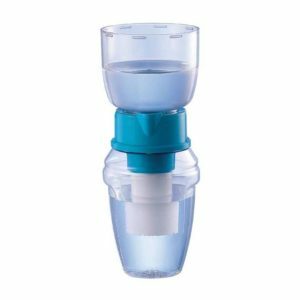 If you are on a private well: Water ionizers can be used with most well water. The three most common problems found in well water are hydrogen sulfide (rotten egg, sulfur smell), high iron content and sediment content. All of these conditions can often be remedied by proper pre-filtration. If you have a well, please call us first, preferably with a copy of your well’s water analysis. 1-877-770-5247 toll-free. To see for yourself the results produced by AlkaViva ionizers, watch the demo here. View the Venus owner’s manual here. 14 day risk-free trial period; Lifetime warranty.